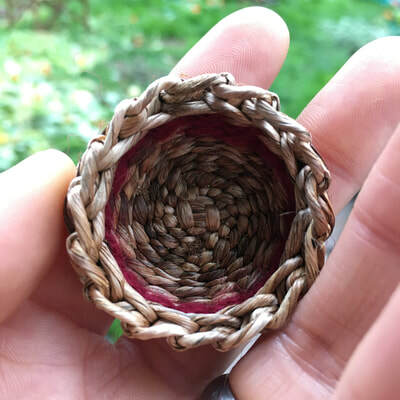 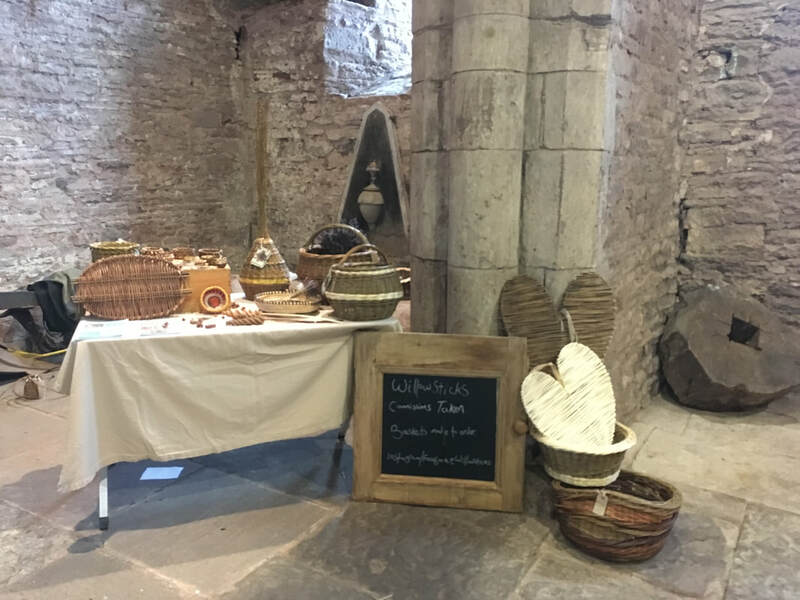 I am a basketmaker working with willow and natural fibre in Monmouth, Wales. 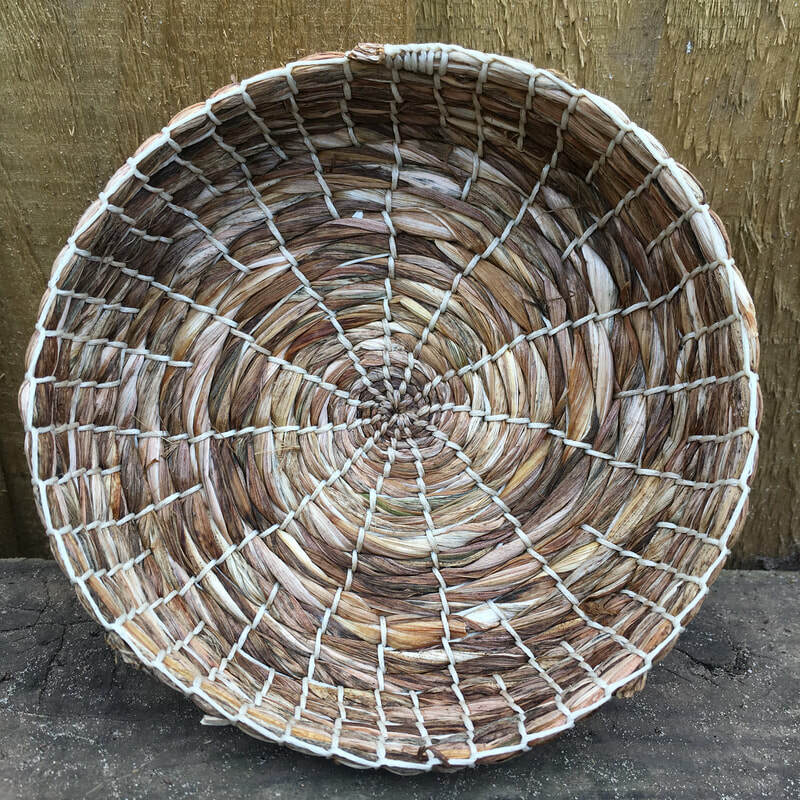 I started my art studies back in 1999 with a degree in Visual Communication at The Surrey Institute of Art and Design. A career in social care followed but I always wanted to return to the arts. 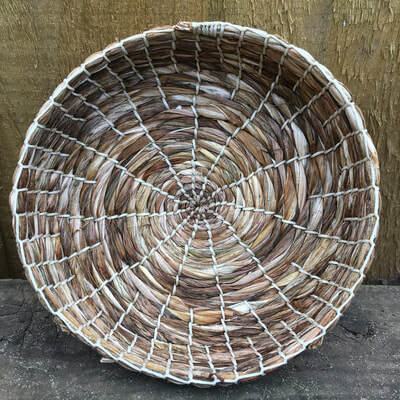 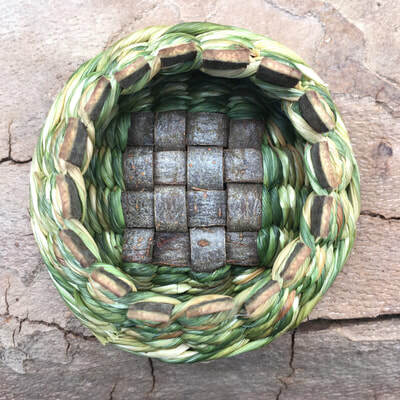 In 2017 I achieved a distinction in City and Guilds, Basketry at Westhope Craft College near Ludlow. 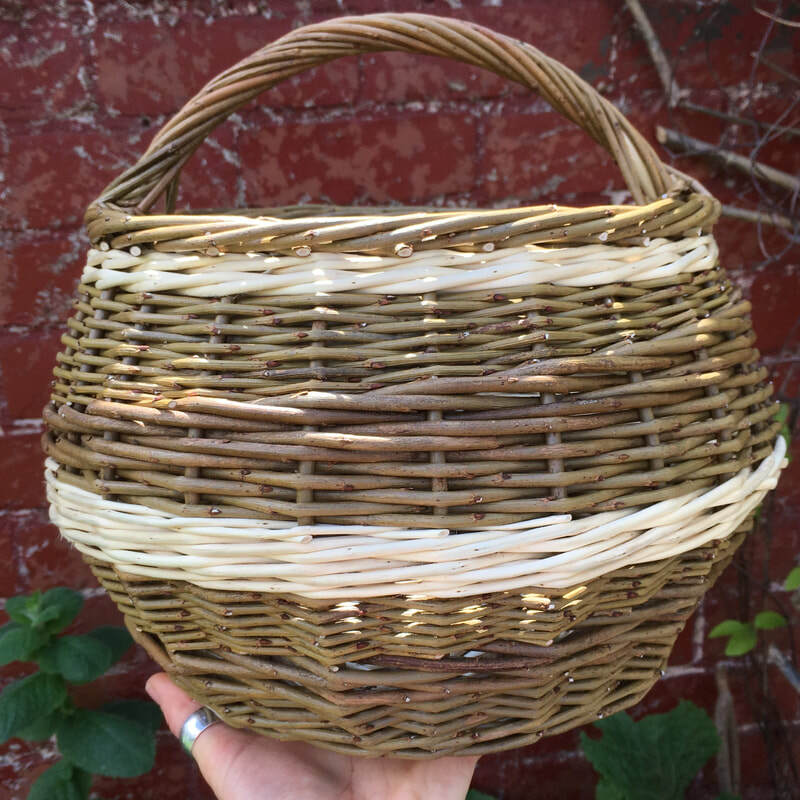 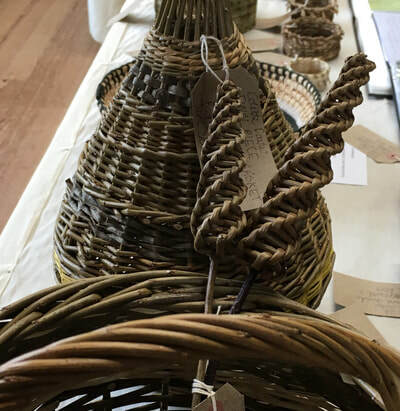 With willow, my main interest is in creating functional baskets that people want to carry and use every day; I want to see more baskets used on the high street. 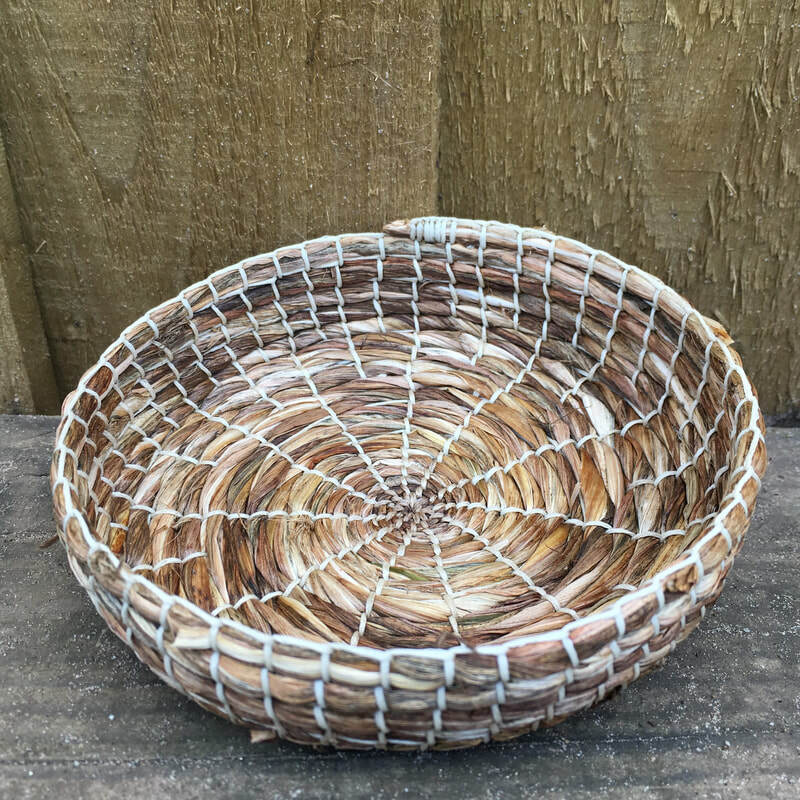 With my fibre baskets I mainly use leaves that are grown locally in the gardens of Monmouthshire. 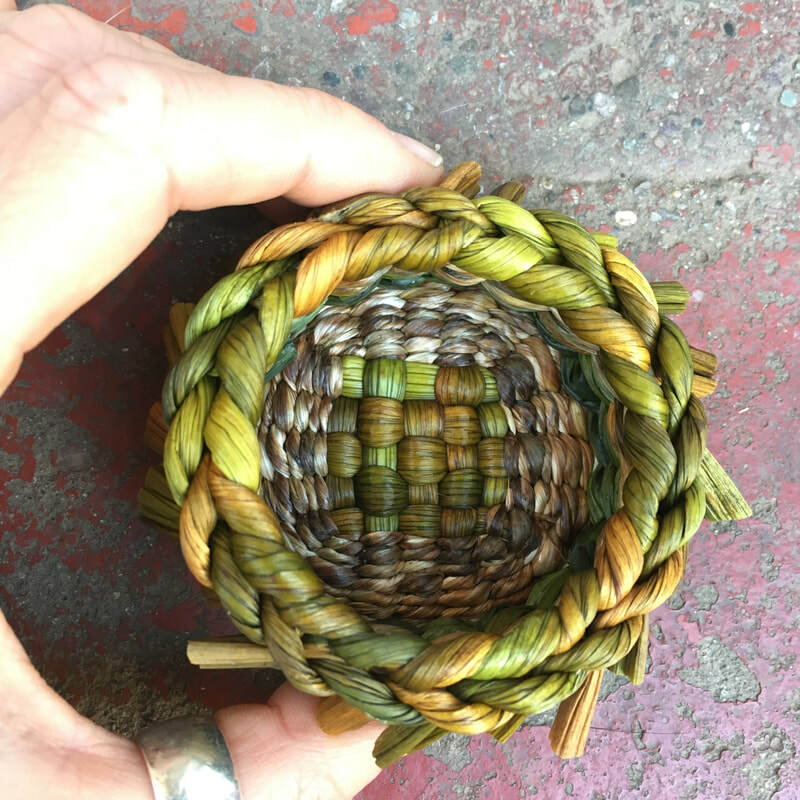 I love creating items out of what would otherwise be thrown on to the compost heap, leaves that people don't realise have creative value. At present I am mainly working with day lily, iris and crocosmia leaves.